Michael Hofmeister was born in Augsburg, Germany, where he got first musical education in the cathedral’s boyschoir, the “Augsburger Domsingknaben”. He studied musicology and then singing in Würzburg and Frankfurt and made his operatic début at Hannover State Opera. He first performed in a Purcell-Pasticcio, conducted by Konrad Junghänel, then in a production of John Taveners “Hide not thy face” within a Project of Ruedi Häussermann, and uncommonly for a countertenor, in “La Traviata”, directed by Calixto Bieto. With Hannover’s production of Luigi Nonos “Al gran sole carico d’amore”, directed by Peter Konwitschny, he was also invited to the Edinburgh Festival. Beside specializing in baroque music and singing at such festivals like Händelfestspiele Halle, Händelfestspiele Göttingen and the Rheingau Musik Festival, Michael Hofmeister frequently performs contemporary music. He took part in several world premieres at festivals in Leipzig, Basel, Mexico-City and Berlin’s “Maerzmusik”. At the Stuttgart State Opera he sung J. M. Elia’s “Jagd” and at the Schwetzingen Festival in 2006 he took part in the world premiere of Salvatore Sciarrino’s opera „Da Gelo a Gelo“ directed by Trisha Brown. This production was to be seen also at the Opéra National de Paris and the Grand Théâtre de Genève. For the Schwetzingen Festival 2008, Michael Hofmeister performed in the world premiere of Adriana Hölzky’s „Hybris“ with performances also at Teatro Sao Carlos, Lisbon. 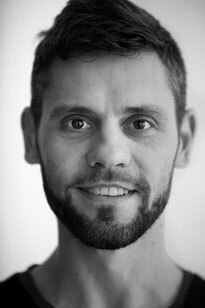 In the 2009/2010 season, Michael Hofmeister was contracted by the Stuttgart Opera for several roles in “The Adventures of Pinocchio” by Jonathan Dove. As the production was hugefully successful, he also performed his roles in the following seasons. In September 2010 he made his début at the Kassel State Theatre in the role of Edgar in Aribert Reimann's opera “Lear” and was invited to perform Oberon in a new production of Britten's “A Midsummer Night’s Dream” in 2012. In May 2013 he sung the world premiere of the opera “Schachnovelle” by Cristobal Halffter at the Theater Kiel. In Leipzig he was part of John Cage's "Europeras 5", the main production of "Cage 100", a festival for the composers 100th anniversary. 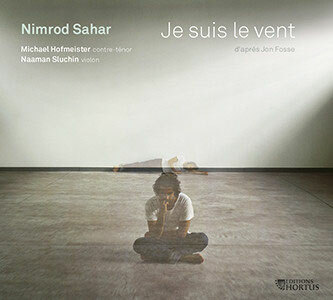 In 2013 Hofmeister recorded "Je suis le vent", a fourty minutes piece for voice and violin of the young Israeli composer Nimrod Sahar, for the French label Hortus and also premiered the stage version in Graz. At Deutsche Oper Berlin he recently sung the role of Athena in Iannis Xenakis' "Oresteia" - within a spectacular production on the opera's parking deck.